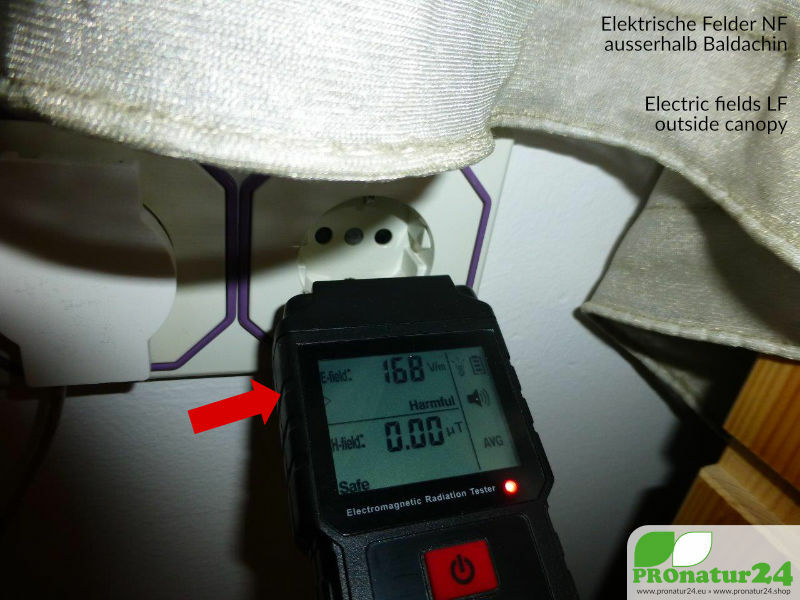 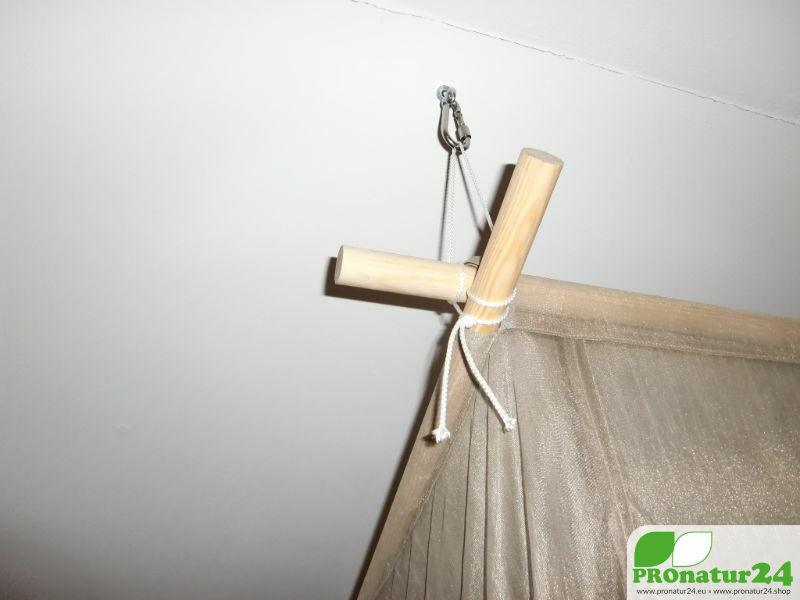 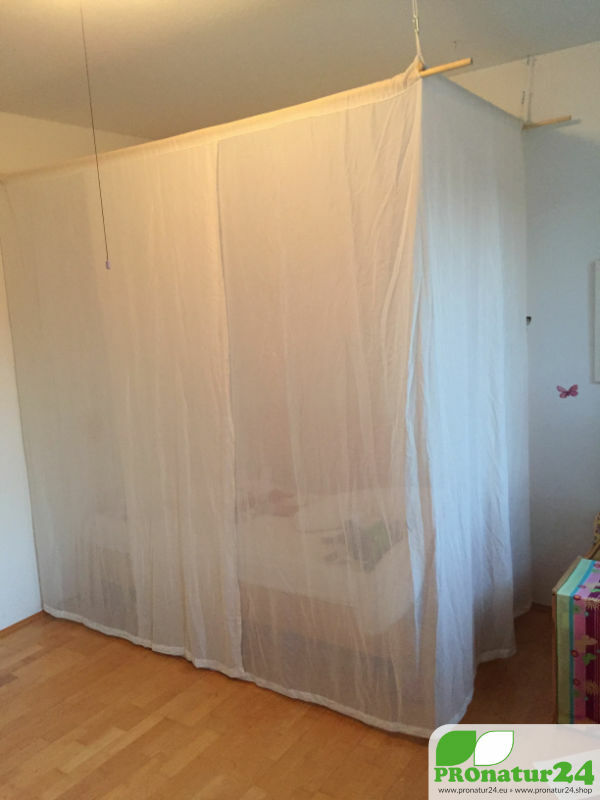 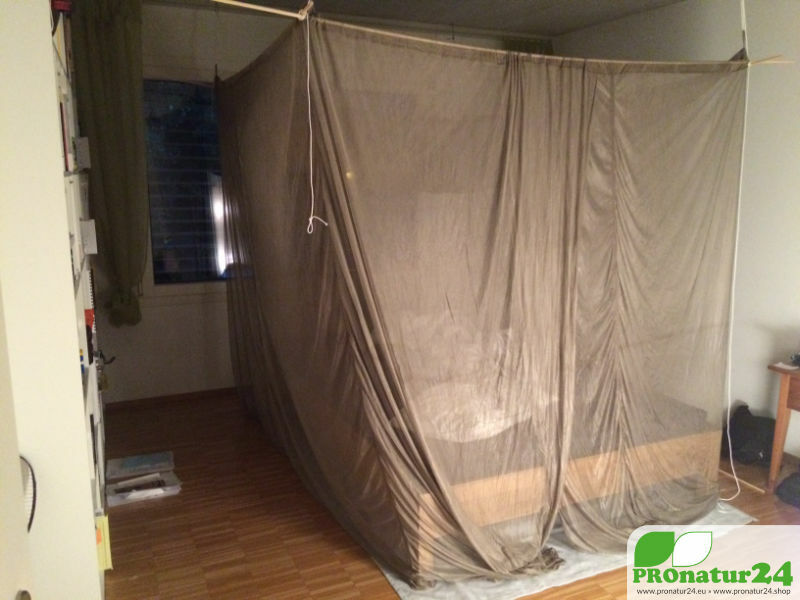 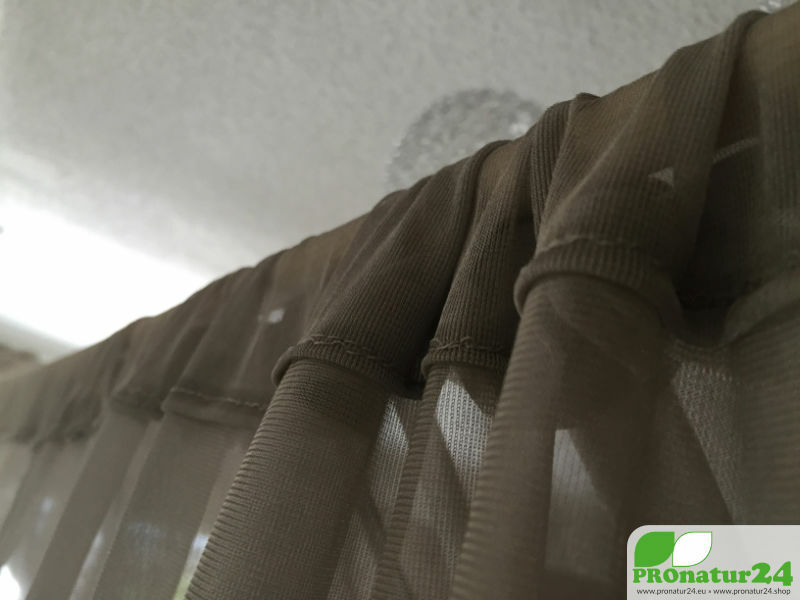 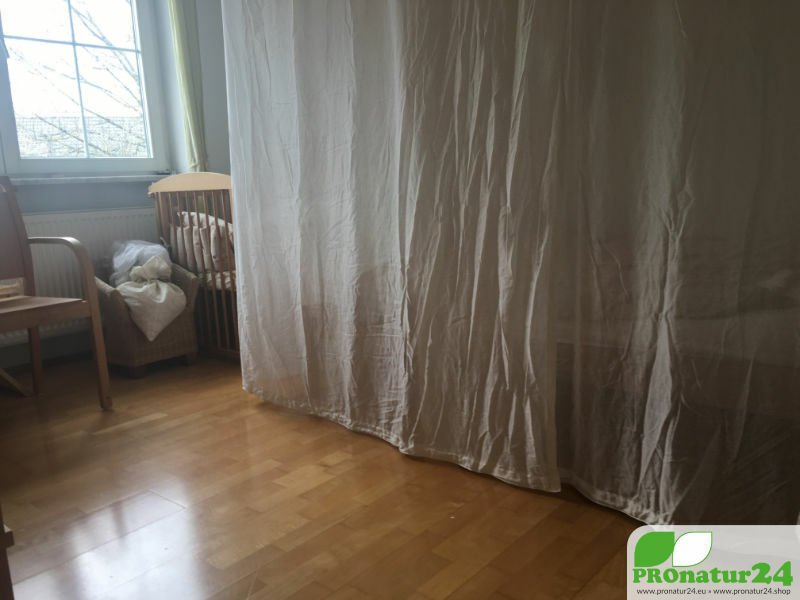 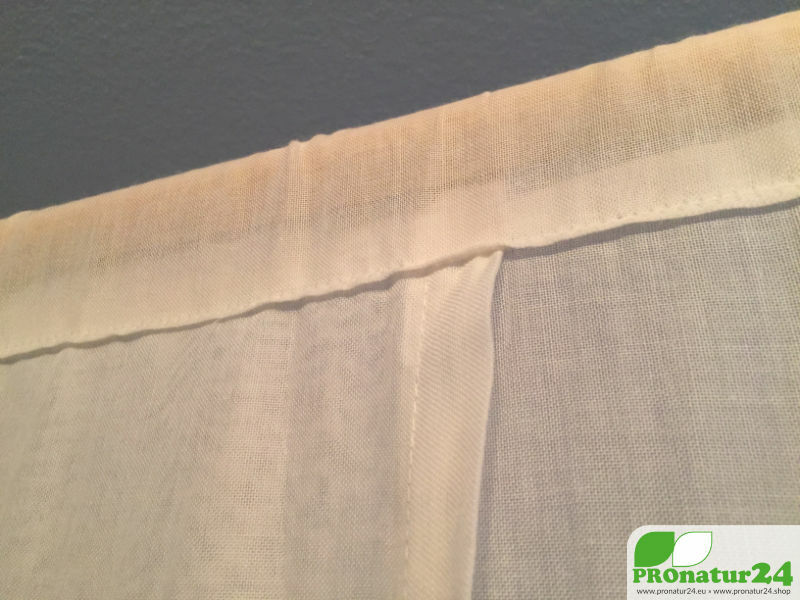 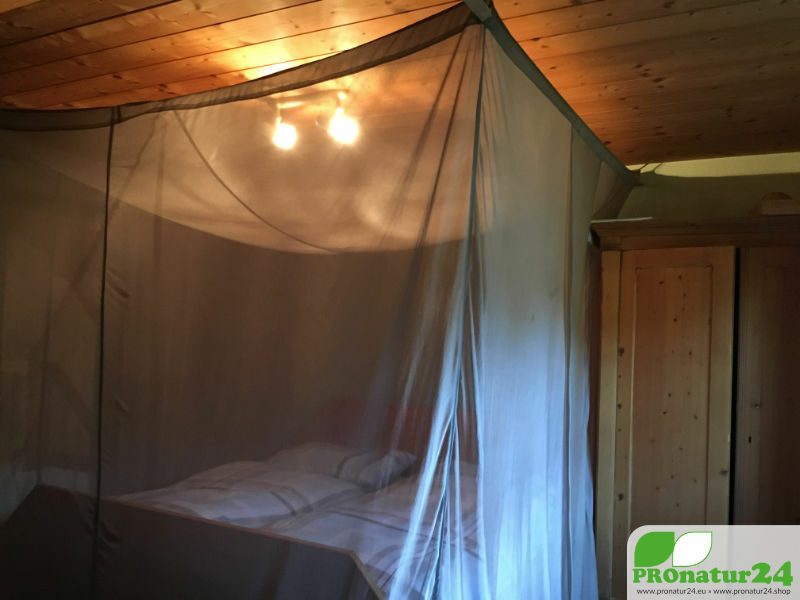 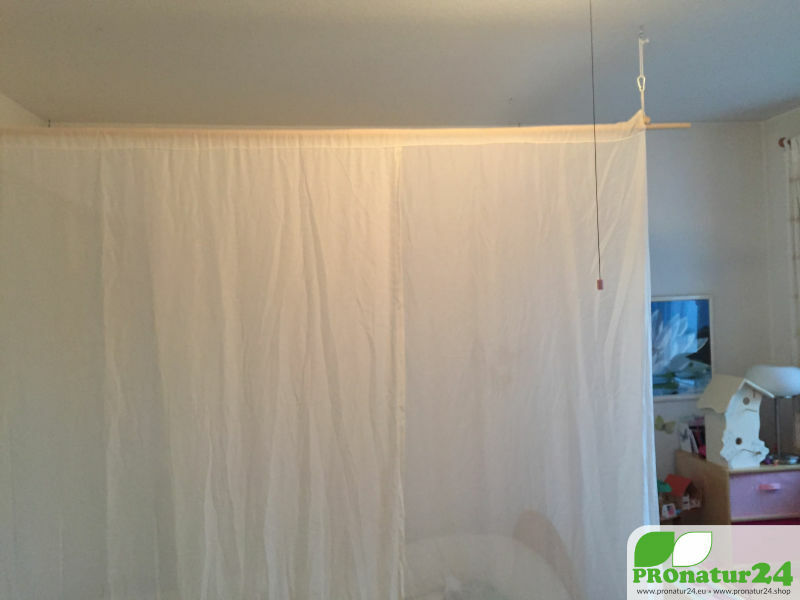 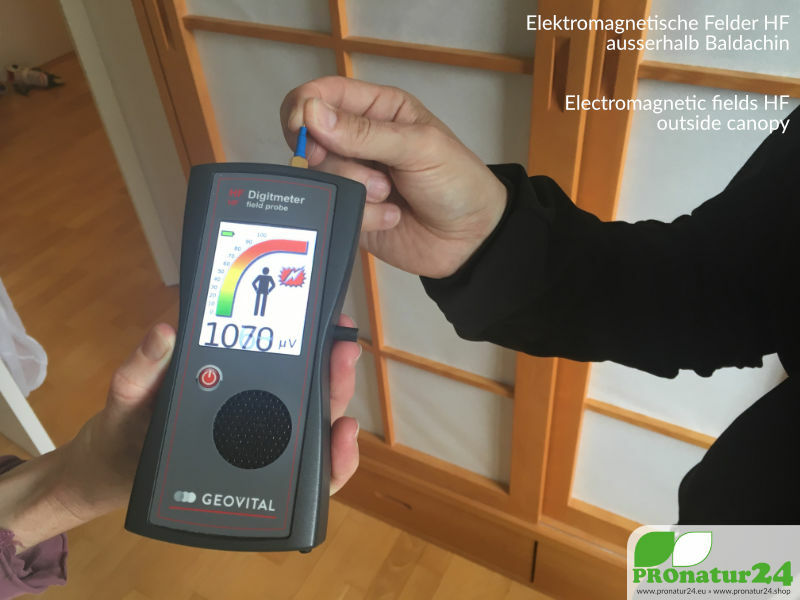 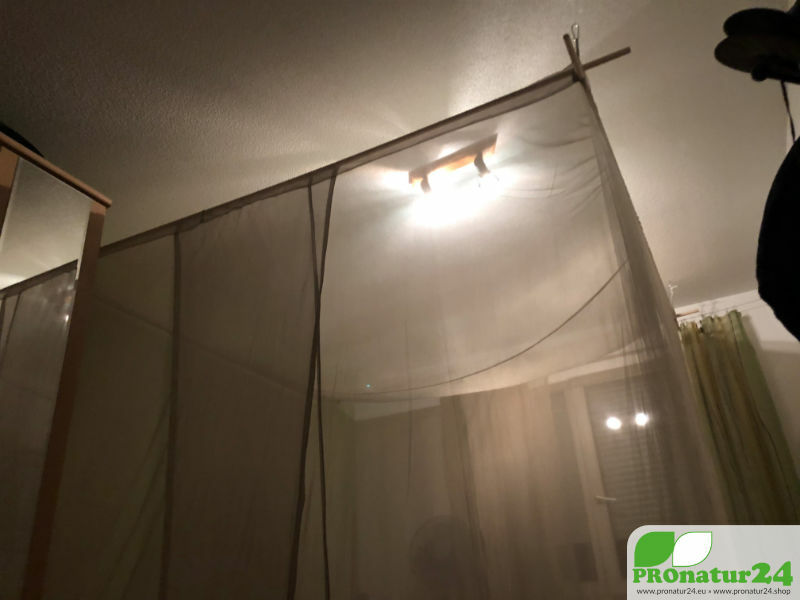 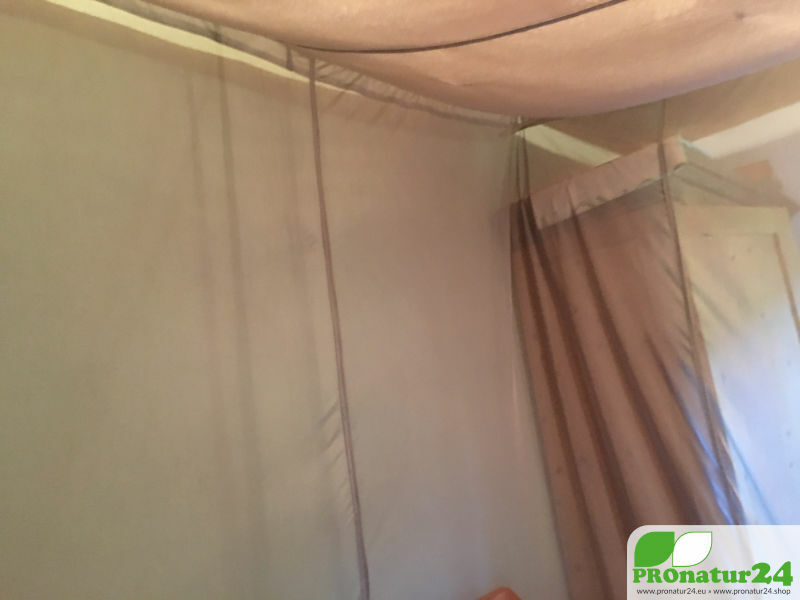 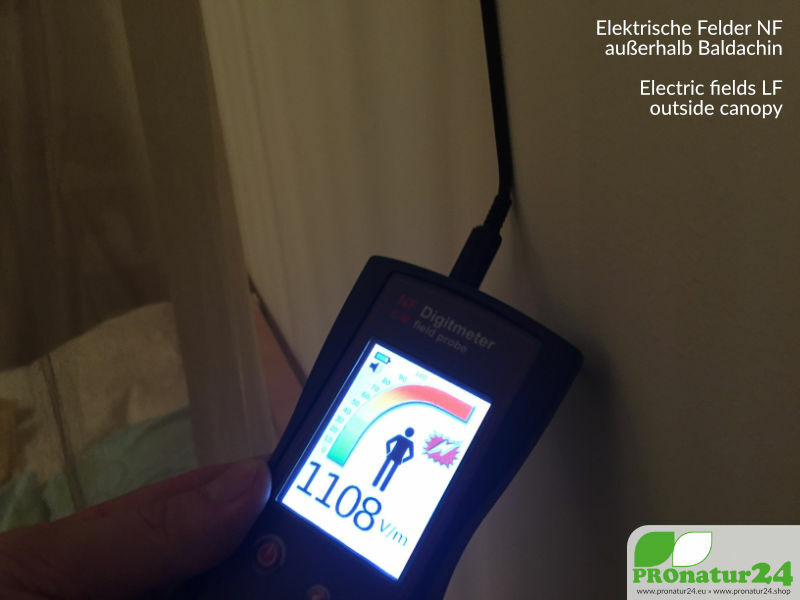 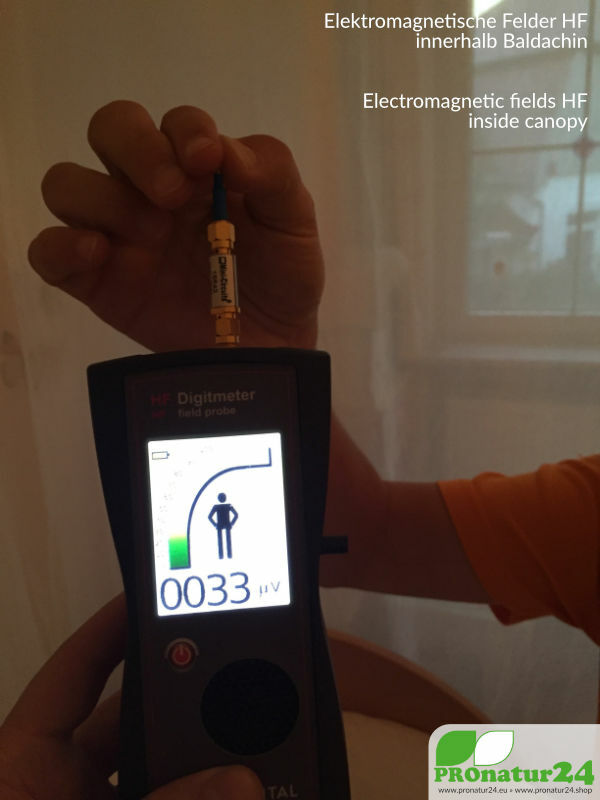 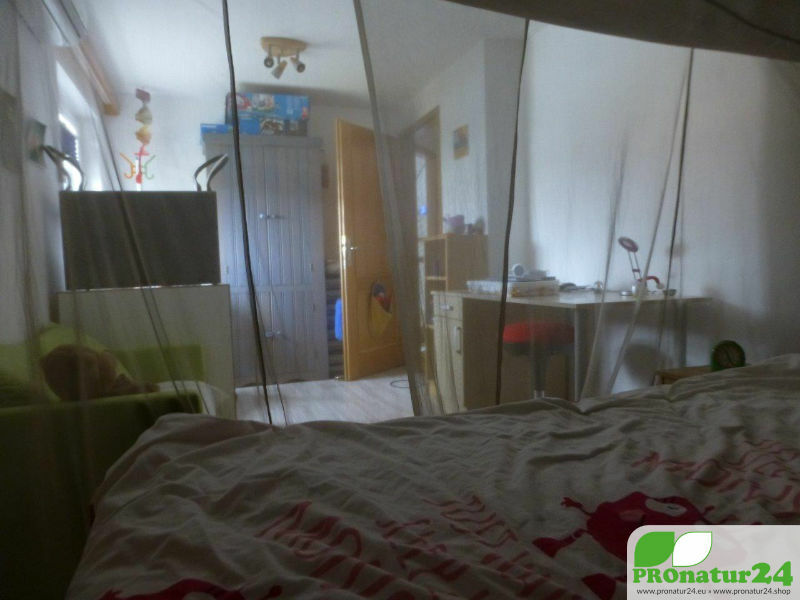 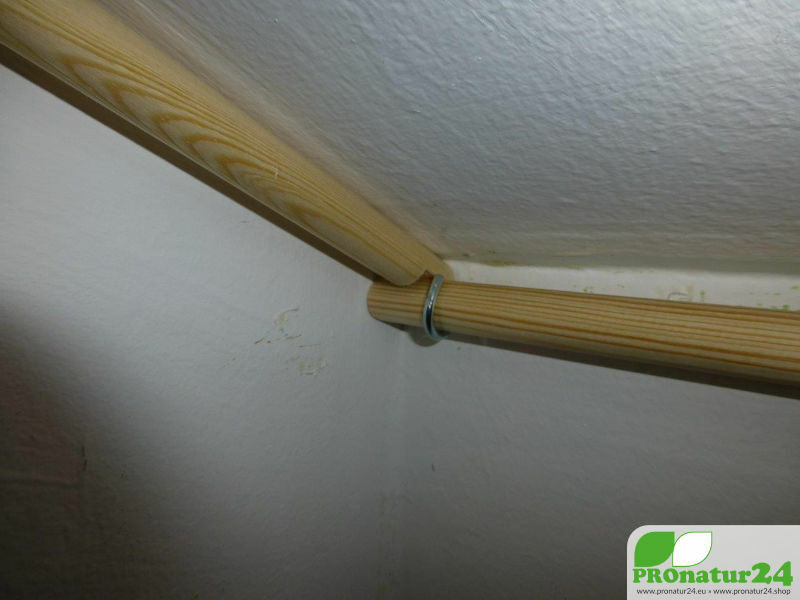 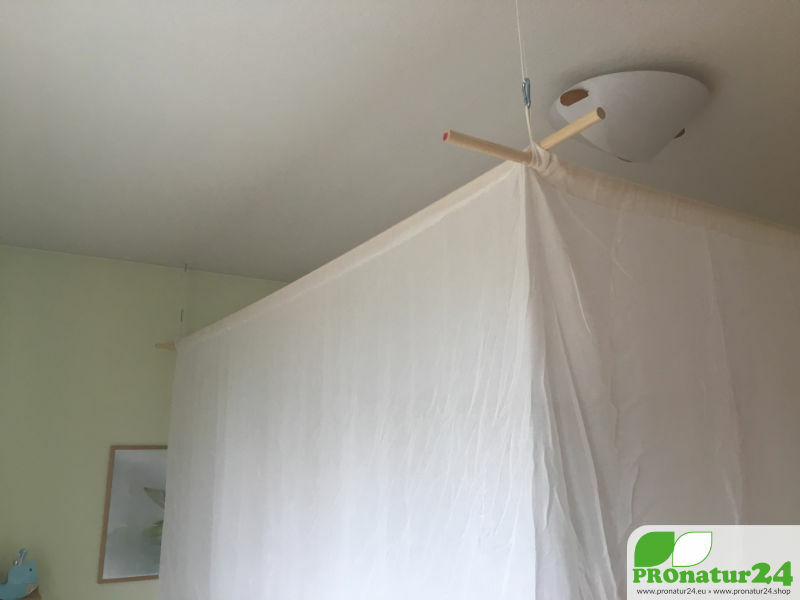 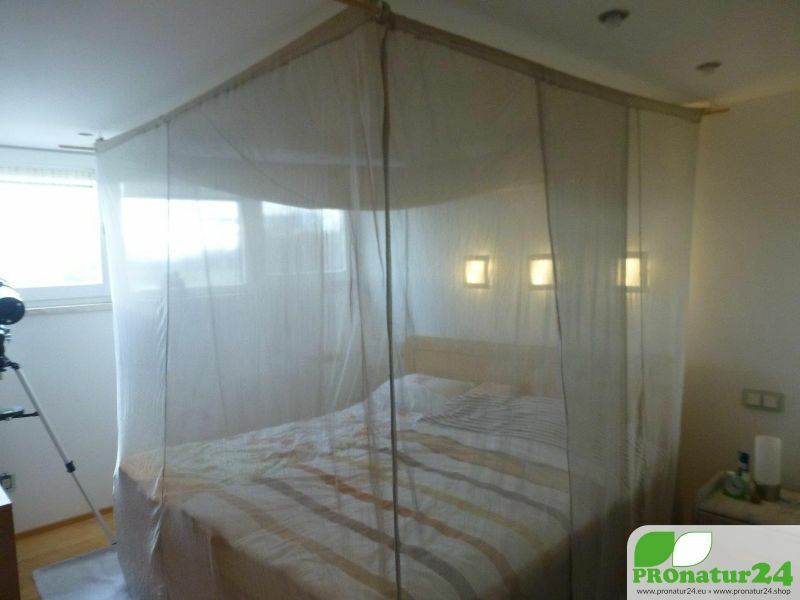 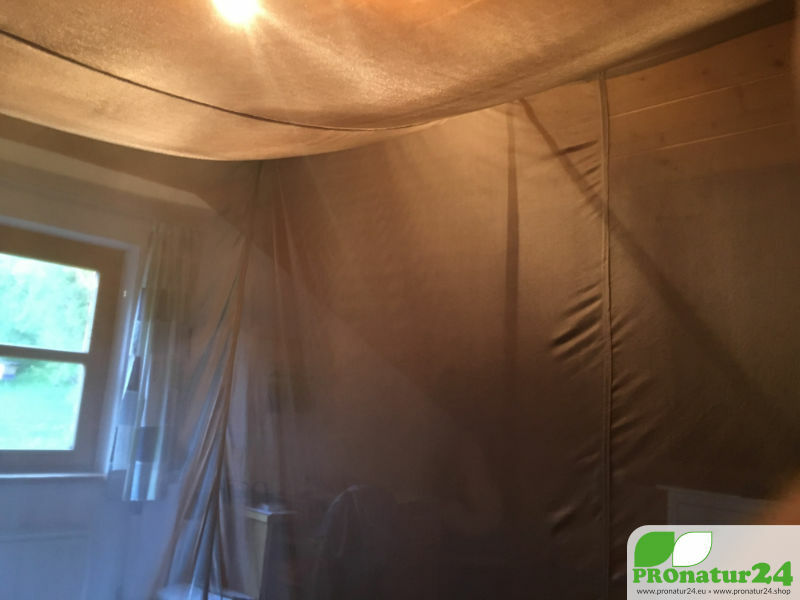 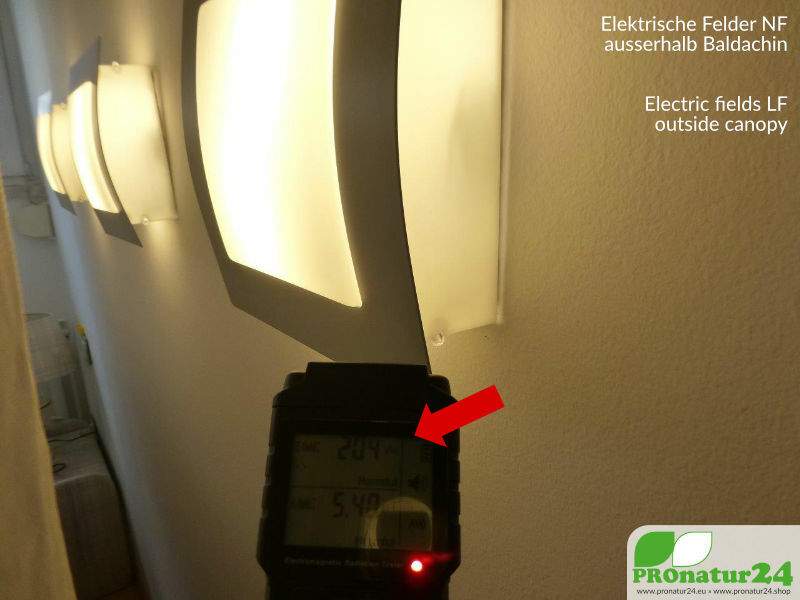 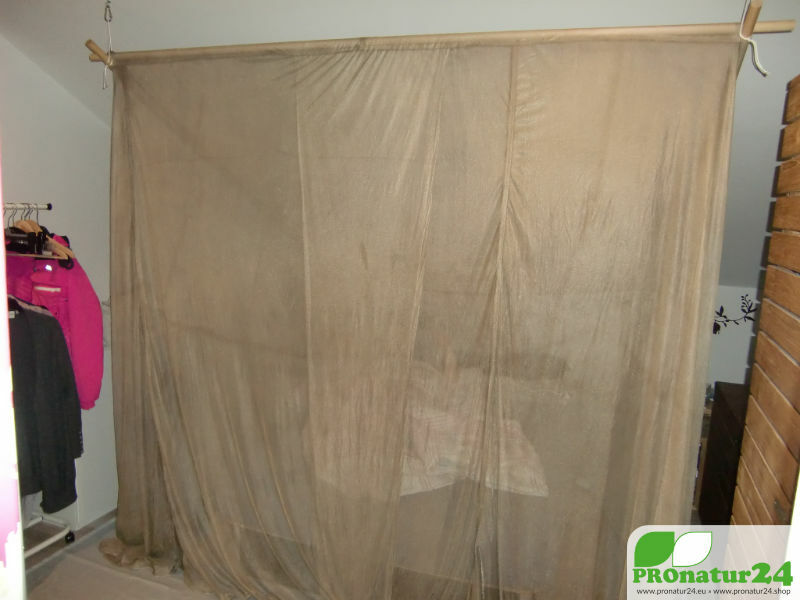 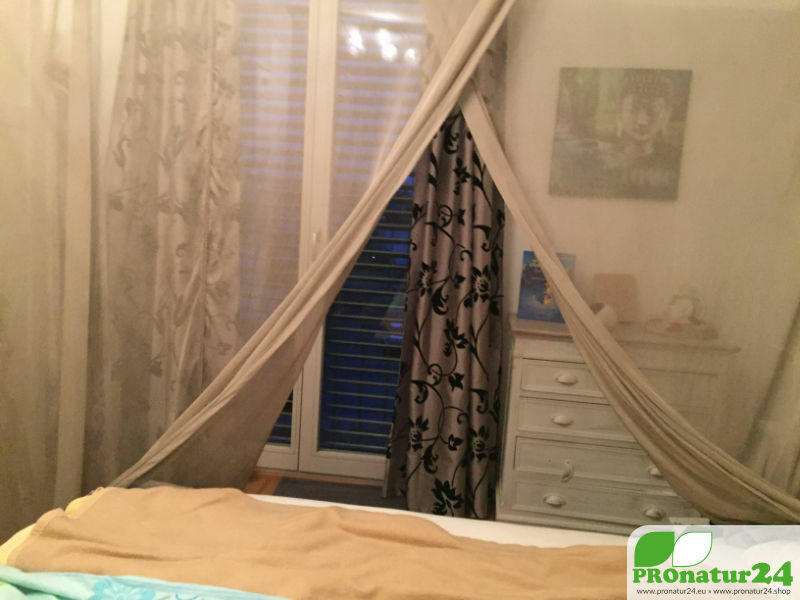 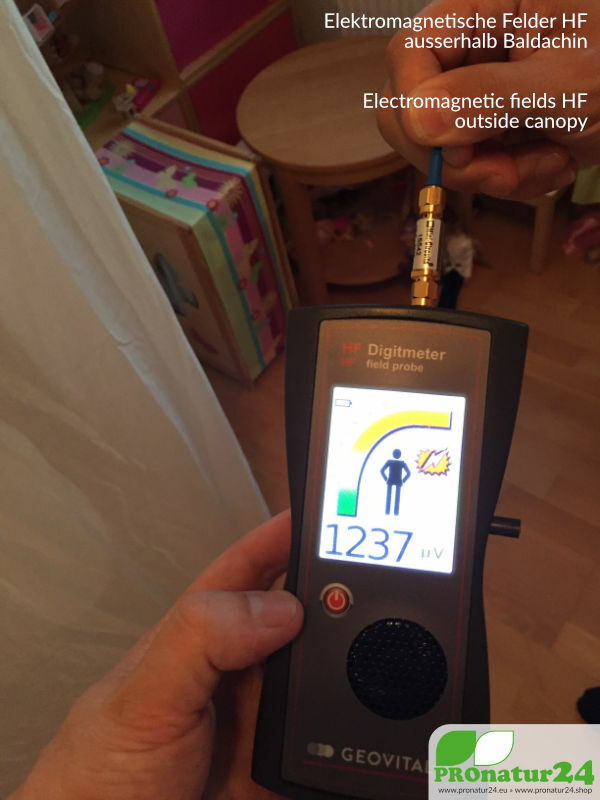 Canopies against electrosmog HF (WLAN, cellular radiation, …) and LF (house electricity) from PROnatur24 – live directly from the bedroom of our clients! 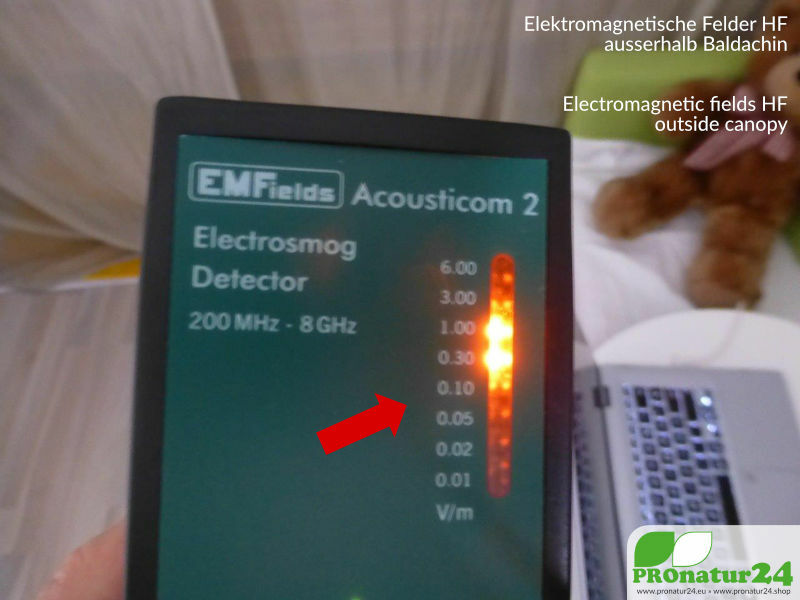 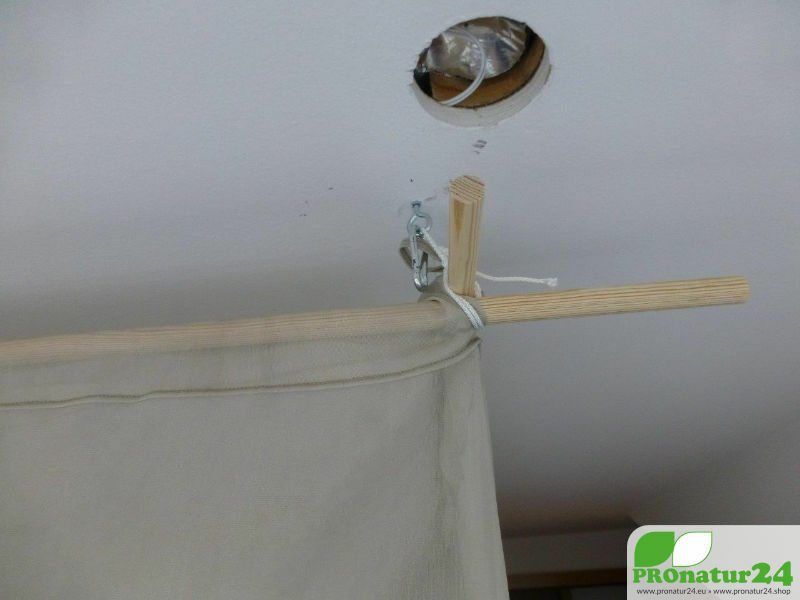 Our canopies “Electrosmog PRO” and “Electrosmog WIFI” are an ingenious and wonderful solution for people in rent because they are easy to take along and are also quick to dismantle (4 screws in the ceiling). 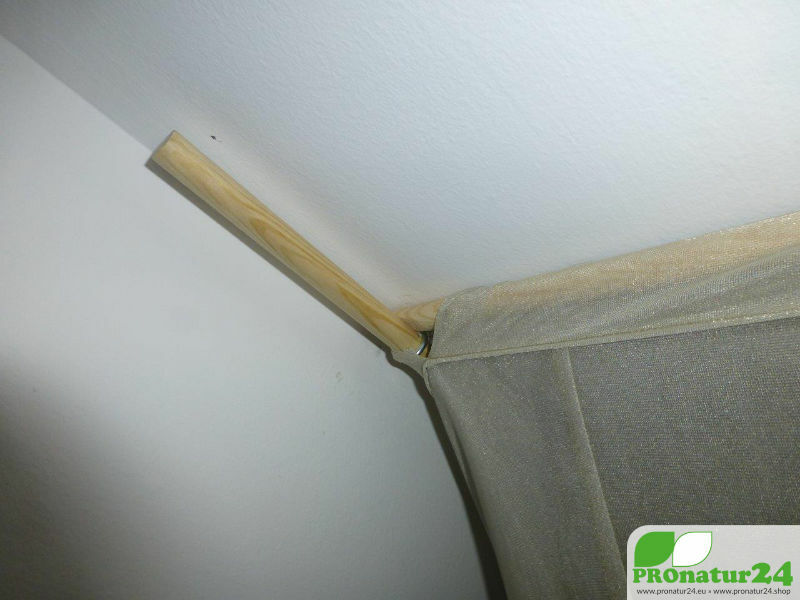 On this page we show the construction of the canopies from our clients. 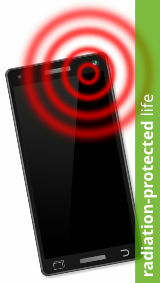 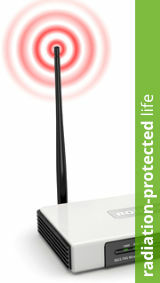 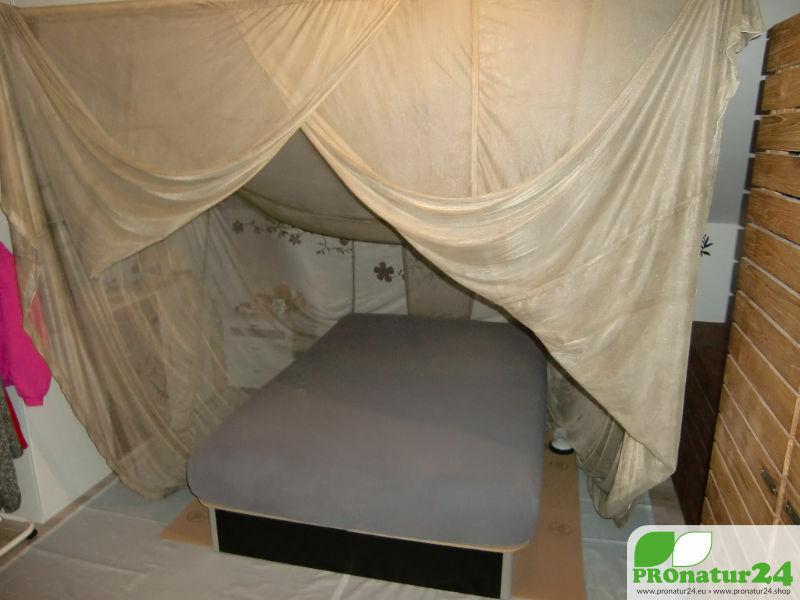 And the level of shielding performance which can be achieved as protection for healthy sleep. 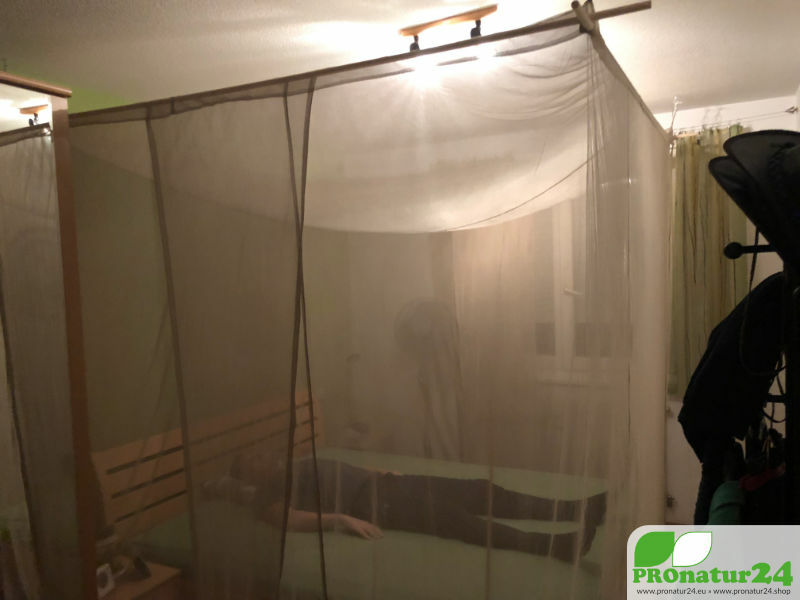 We always ask for photos after the construction of the canopy, for information and inspiration of other people who also seek help and support on the subject of electrosmog. 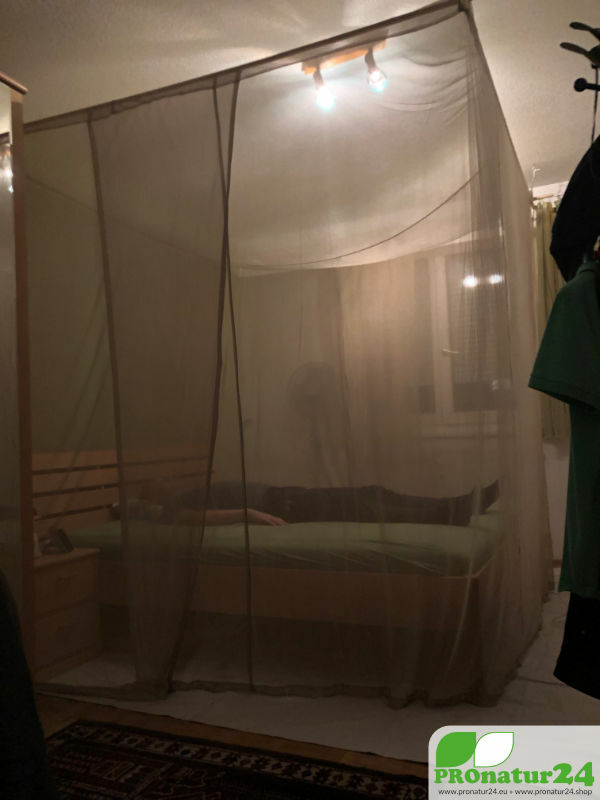 Unfortunately we receive much less than hoped. 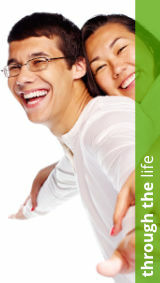 And yet we are thankful for all the photos we have received and still receiving in future! 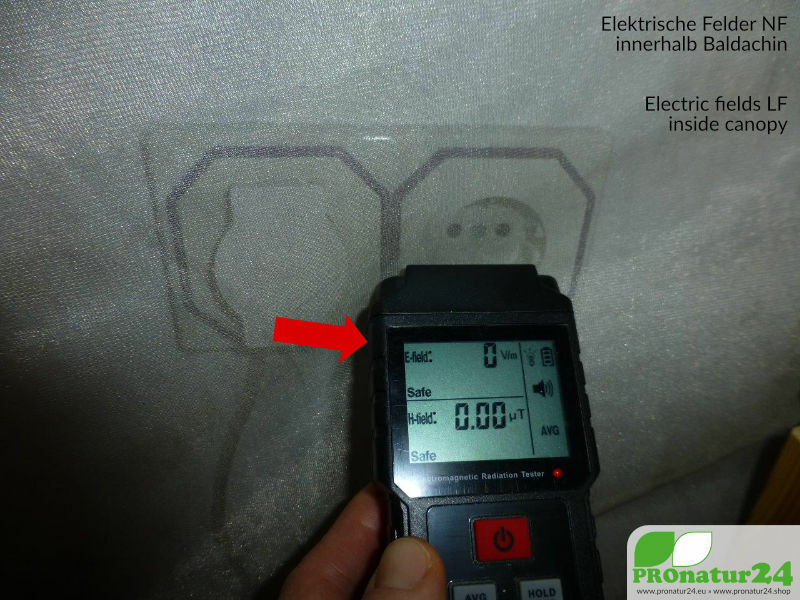 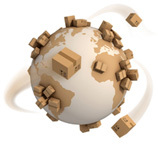 All photos are unedited, we have just inserted explanatory terms and our logo.